The early music and baroque composers of Poland generally have not gotten the attention they merit in our modern era. Part of that has to do with historical upheavals, no doubt, but the rest seems serendipitous. Acclaimed early music group the Sixteen are doing their part to expose us to choral music from that time and place. They recently came out with a third CD in the series, in this case the music of "the Polish Handel" as he was called in his day, one Grzegorz Gerwazy Gorczycki (1665-1734). 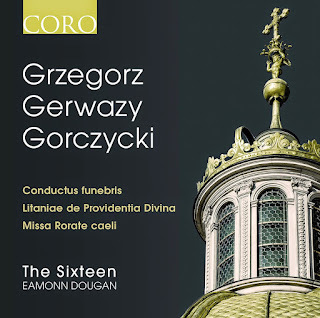 Gorczycki gets our attention as the Sixteen perform three substantial works and a few brief additions. Conductus funebris, Litaniae de Providentia Divina, Missa Rorate caeli (CORO 16130) partake alternatingly in "stile antico" and "stile moderno" with varying degrees of contrapuntal density accordingly. 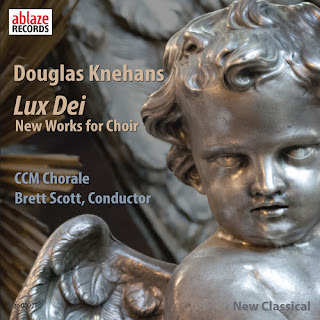 Both a cappella and choir-instrumental sacred works get the usual brilliant Sixteen stamp of excellence. As expected the ensemble comes through with wonderfully authentic and rousing versions of the music, with the sort of sweet yet somber timbral richness that brings out the period in all its specificity. Gorczycki strikes one as a skillfully inventive composer throughout, with a discerning sense of line and part. He is a genuine lyrical force. The performances are as near ideal as one could imagine, pristine, sonically alive, fully worthy of the quality of the compositions. A beautiful recording, highly recommended. There are a number of Chinese composers active today who are talented and original. A good example is Zhou Long (b. 1953), who is featured on a recent CD of orchestral works. The central work is Symphony "Humen 1839" (Naxos 8.570611) which he co-wrote in 2009 with composer Chen Yi (b. 1953). It commemorates the 1839 seizing and burning of 1000 tons of opium amassed by British traders. The action set off the First Opium Wars with the British. The work has rhythmic vitality, a very contemporary orchestral sound that is spiced with motifs that have a vaguely traditional Chinese feel to them, along with inventive tonal and extra-tonal modern dynamics. The music is descriptively evocative, at times turbulent, other times reflective. It stands on its own as orchestral music of today with its own original cast. Two additional Long works complete the program. The first, "The Rhyme of Taigu" (2003) features three Japanese Taiko drummers, clarinet, violin and cello. Like the Symphony it also has passages that are highly rhythmic. The program concludes with Long's "The Enlightened" (2005), which concerns itself with contemporary world struggles and the possibility of achieving peace and understanding in the universe via harmony and balance in personal everyday life. This goal and its attainment is in accordance with ancient Chinese philosophy. The work tries to capture this all via sound-episode narrative. It has a mysterious quality in the opening, then goes on to depict episodes of tension and release with vivid orchestrational expression that makes use of space and contrast in ways somewhat suggestive of ancient Asian music, yet with a very modern result. In the end we hear some very provocative and original music that may not quite reach the level of seminal masterpieces but nonetheless maintains interest through an expressive mastery of the orchestral colors available. The New Zealand Symphony Orchestra under Darrell Ang does a respectable job bring these works to life. Long and Yi give us music well worth hearing, world-class orchestral music that goes its own way and reflects a melding of Asian and contemporary elements both convincing and at times quite exciting. Krzysztof Penderecki electrified the high-modernist new music world in the '60s with his highly dynamic orchestral and choral music. He created works often based upon historical or religious subject matter which helped concretize the meaning behind the turbulent sound worlds, in works such as "Utrenja" (The Entombment of Christ) and "Threnody for the Victims of Hiroshima." Then in the later '70s his music made an abrupt turn into tonality and neo-romanticism and to my knowledge never turned back. I have spent less time with his later works. I am not so familiar with the whole of them so I have no informed opinion, other than to note that there is no falling off in craftsmanship and inspiration in what I have managed to hear. There is a new CD of two contrasting choral-orchestral works from the earlier and later periods by soloists, massed choirs and the Warsaw Philharmonic Orchestra, all under Antoni Witt. It juxtaposes the earlier with the later in Magnificat and Kadisz (Naxos 8.572697), the former from 1973-74, the latter from 2009. "Magnificat" has avant elements in place but mostly with a slightly less dense demeanor than some of the earlier choral works. There also is reference to historic church music styles that you hear from time to time. It is a long ambitious work for bass soloist (Wojtek Gierlach), a seven-member male vocal ensemble, the Warsaw Boys' Choir, the Warsaw Philharmonic Choir and the Warsaw Philharmonic. I don't recall hearing this work in earlier versions so I cannot comment on how this performance stacks up. It is a difficult work that Maestro Wit and company manage to bring to us in vivid fashion. The complexities are such that you must listen carefully and more than once to absorb. It may not have quite the visceral-aural kick of Penderecki's "Passion" or "Utrenja" but it is dynamic and engrossing nonetheless. The 2009 "Kadisz" has a dramatic continuity with the "Magnificat," only less in the expanded tonality and sound color realm. It was written to commemorate the 65th anniversary of the horrific liquidation of the Jewish ghetto in Lodz. Understandably it is very somber and dark. Soprano Olga Pasichnyk as soloist is quite effective, as is Alberto Mizrahi in the tenor role. The Warsaw Philharmonic Male Choir and the Warsaw Philharmonic create a moving tapestry of lament and protest fitting to the dark history of genocide that the music laments. This is Penderecki in very good form, performed with sympathy and insight. I cannot say that "Magnificat" would be my first choice for a representative work of his first period, but the music is quite worthwhile and stands on its own. "Kadisz" seems a quite fitting example of his later work. The music is well done in any event. It is a worthy addition to understanding Penderecki and his oeuvre. I am glad I can listen more to this one in the future. It is not music to grasp easily or take lightly. And that in itself is saying a good deal. Hear this one and ponder. 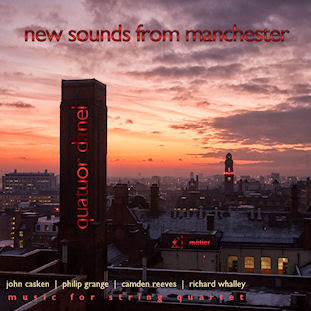 From Manchester, England we have the Quatuor Danel playing five very modernist string quartets on New Sounds from Manchester (Metier 28546). The composers are all living exponents of uncompromising new music, musical personages rather unknown, at least to me, but all showing a fine sense of craftsmanship and dramatic flair. The program consists of Camden Reeves (b. 1974) with "Fireworks Physonect Siphonophore (String Quartet No. 1)" and "Dactylozooid Complex (String Quartet No. 2)," Richard Whalley (b. 1974) with his "Interlocking Melodies," John Casken (b. 1949) and his "Choses en moi," and finally Philip Grange (b. 1956) and "Ghosts of Great Violence." Quatour Danel handles it all with an excellent feel for contemporary modernism and fine musicianship. None of the works are mundane or routine. They all are of a uniformly advanced nature and mesh together for a consistently rewarding listen. Quatuor Danel have been together since 1991; in 2005 they became the quartet-in-residency at the University of Manchester, where they remain. Their playing is exemplary on this disk and the Manchester composers represented are in every way worthy of the quartet's talented way. American composer Joan Tower (b. 1938) has rapidly become one of the prevailing composers of our era. A childhood partly spent in South America added some musical roots not typical of someone born in the US. She received an MA and PhD from Columbia in the classic years and gained much experience in the chamber music worlds while she evolved from a 12-tone to an eclectic modernist as composer. Her music is generally vibrant and memorable. The new recording of three recent compositions (written between 1991 and 2010) bears this out nicely. Violin Concerto, Stroke, Chamber Dance (Naxos 8.559775) centers on the Nashville Symphony under Giancarlo Guerrero with Cho-Liang Lin as violin soloist on the Concerto. Two of the three works are in first recordings and all sound well with the artists at hand. "Stroke" (2010) is the more overtly expressive of the three, written when Joan's brother George suffered through the affliction. It is a sometimes violently turbulent, always exciting piece that brings emotion and thematic modernism together in a potent mix. The "Violin Concerto" (1991) has a more intricate, labyrinthian way about it. The violin part twists and turns around a briskly moving orchestral matrix tumbling over a knotted virtuoso horizon. It is masterful and unrelenting in its fertile invention. "Chamber Dance" (2006) continues the motion-oriented mood with tutti or near-tutti passages of strength and mercurial temperament alternating with solo instrumental interludes for an impressive result. 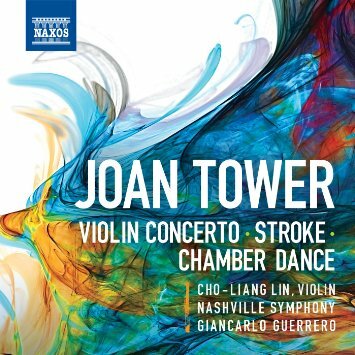 Joan Tower manages to stay within a general modernist camp but uses tonality as well for some very dynamic music that will appeal to the new music fan while remaining pretty accessible for the more general classical listener. These are strong works, performed with enthusiasm and precision by Guerrero and the Nashville Symphony. This forms a nice introduction to Tower's later music but holds its own for anyone who already appreciates her. Very recommended. 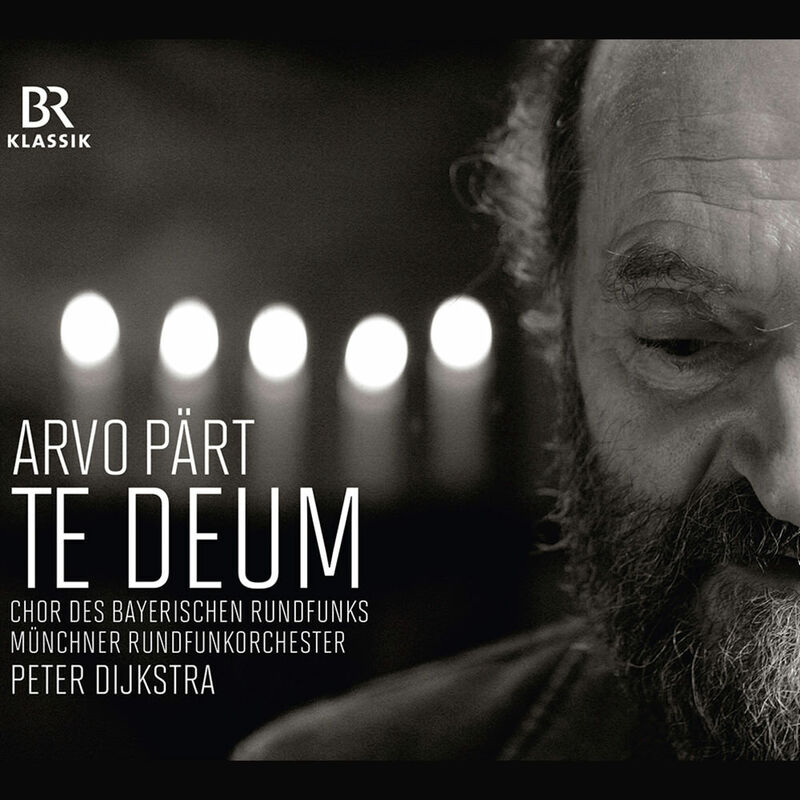 Anybody reading this blog regularly no doubt knows Arvo Part as one of the leading composers of our times. He has had a huge influence on the postmodern scene as a brilliant voice who somehow manages to combine the contemporary with elements of archaicism-early music, especially in his choral works. Te Deum is one of the prime examples. 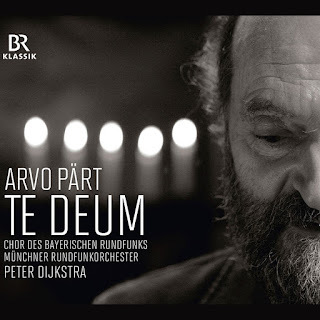 Peter Dykstra, the Chor des Bayerischen Rundfunks and the Munchner Rundfunkorchester have recorded a version recently with appropriate additional pieces (BR Classics 900511) and it is to this we turn today. Along with a beautiful version of "Te Deum" we also have "Pilgrims' Song," "Berlin Mass," and "After the Victory." The latter is sung a capella; the others are for choir and string orchestra. To be precise, "Te Deum" is for three choirs, prepared piano, string orchestra and tape. The works were written between 1985 and 2001, a peak in the development of his mature style, and mesh together for an impressively unified expression. The later-day Part thrives through an unusual musical approach that uses rather simple means. Diatonicism is at the heart of much of it, but often also an irregular use of sound and space that owes a little something to the asymmetric text-based forms of plainchant and Orthodox chant. There is a great deal more that could be said of his stylistic singularity but it is in the hearing that we experience it without question. So I leave that to your ears. These are all masterful examples and the performances are among the best. Dijkstra pays equal attention to choir and orchestra for a detailed soundscape that has great expressive power, a meditative tenderness as called for, and an aural focus so important to this music. I cannot say I've heard better versions, though there are recordings that match these performances in their own ways. 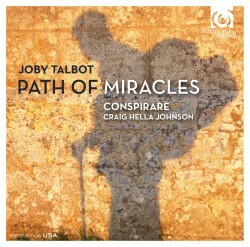 The concentration on choral works gives this release a compelling consistency that makes it a good one to have. Part completists will want all of them, but for everybody else this one is especially attractive if you can only have so much. Very recommended. In the Italian rebirth of instrumental music during the last century, Gian Francesco Malipiero (1882-1973) played a central role, yet does not always get the recognition that is his due. 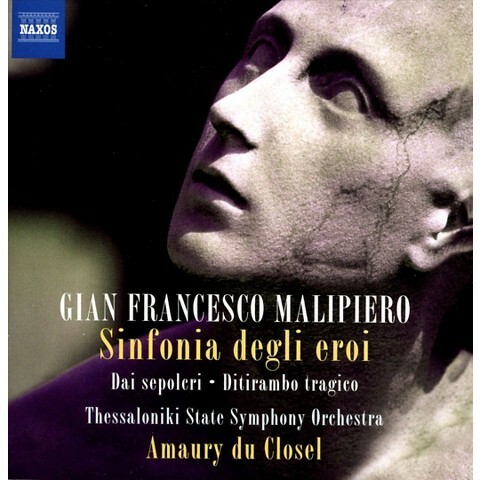 Naxos has gone some way to rectify that in a series of releases covering his orchestral output. I've reviewed another of them here, which you can locate via the search box. The final volume of the series is out, devoted to his earlier works, under the title Sinfonia degli eroi (Naxos 8.572766). On it are featured five works written between 1905 and 1918, four of the five in world premiere recordings. We hear a Malipiero finding his way yet ever contemporary for his era, and showing in the first works a sense of direction not always typical of a composer in his younger years. The 1918 "Grottesco" is the more advanced of the pieces, showing the influence of Stravinsky without losing the Malipiero identity. "Dal sepoleri (From "Tombs)" (1904) is the earliest of surviving works along with the title piece "Sinfonia degli eroi (Symphony of Heroes)" 1905. Both show a sort of symphonic poem approach with descriptive orchestral writing that has hints of impressionism and a kind of post-romanticism or a brink-of-change late romantic dynamic. The "Sinfonia" has thematic memorability. The "Ditirambo tragico" (1917) and "Armenia" (1917) share with "Grottesco" a further evolved Malipiero. "Armenia" captures traditional melodies of the region in a charming manner, with a sense of symphonic color that shows Malipiero's increasing orchestrational mastery. "Ditirambo tragico" has a brooding quality in keeping with its subject matter and at times a dark sprightliness with a modern harmonic flourish that still sounds fresh. The performances are respectable and serve to introduce the music to us properly if not exactly spectacularly. So there we have it. The thematic elements of heroism and death tie the works together. It may not be essential listening compared to some of the earlier volumes, but they all show Malipiero in his formative period and so serve to flesh out a complete picture of the artist. None of the music is ephemeral or inconsequential. So for the Malipiero student there are revealing things to hear. It is a good listen in any event. Perhaps you are not aware that Czech composer Bohuslav Martinu (1890-1959) lived out much of his later years in the United States. After fleeing occupied France in 1941, he remained in the US until 1953, then returned again in 1955 for a brief period. 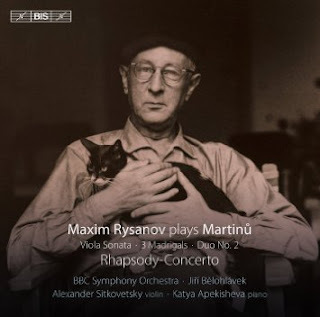 On Maxim Rysanov Plays Martinu (BIS 2030) we happily get the viola music from his US phase, played with fervor and sensitivity by Rysanov, the BBC Symphony Orchestra under Jiri Belohlavek, and chamber partners Alexander Sitkovetsky on violin and Katya Apekisheva on piano. The program consists of four substantial works from the era--the "Rhapsody-Concerto for Viola and Orchestra" (1952), "Three Madrigals for Violin and Viola (Duo No. 1)" (1947), "Duo No. 2 for Violin and Viola" (1950) and the "Sonata for Viola and Piano" (1955). The "Rhapsody-Concerto" forms the centerpiece of the program and gives us excellent mature Martinu, sure of his inventive powers, filled with musical ideas that reflect a tempered modernism along with the Czech elements so much a part of the composer's general approach. It is lyrical yet more brittle than romantic, and very well played in this new version. The chamber works that follow give us more of the essential Martinu. Rysanov and his chamber associates rise to the occasion. The two violin-viola duos have a folkish, neo-classical directness and a fullness that belies the instrumentation. The sonata takes advantage of the piano presence for harmonically advanced excursions that are lyrical yet modulatory in the appealing ways Martinu's later works often exhibit. Martinu was a true original. These works bring that out fully, and the focus on the viola as wonderfully played by Maestro Rysanov gives the music a thematic coherence and a lively exuberance that make listening a real delight. The music has a searching quality and clearly Martinu was ever evolving, even at this late date. Marga Richter (b. 1926) graduated from the Julliard School, studied with Bergsma and Persichetti, received her MA in 1951 and came to some prominence with a number of compositions featured on the old MGM Classics label in the '50s, and then while remaining quite productive fell into some obscurity. However her music deserves our attention. 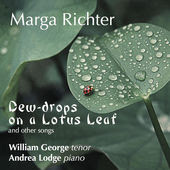 We get to hear some of her songs on the CD Dew-drops on a Lotus Leaf (Red Shift TK 435), featuring the tenor William George and pianist Andrea Lodge. "Dew Drops" consists of a 39-song cycle completed in 2002. On the compilation are five more works, "Sarah Do Not Mourn Me Dead" (1995), "Wild Moon" (2009), "Two Shakespeare Sonnets" (2007) and "Two Chinese Songs" (1952). This is a nice start on this part of her legacy, and apparently there are at least two more CDs worth. Of the 160 compositions we only get a glimpse with what is currently available via recordings in print. I did cover her orchestral CD Poetic Images Beyond Poetry on this blog last March 5, 2013. The songs often have a brooding quality, sometimes very expressively chromatic, key-centered, contemporary without being exactly avant garde. William George handles the songs quite well. They sometimes cover a very wide range (the cycle is for tenor or counter-tenor) but he manages to span it all rather incredibly. The music has much to offer and bears close study. I am very glad to have the volume to hear repeatedly. Marga Richter is an American composer that needs to be re-evaluated, performed more often, appreciated. This compilation of her songs and the orchestral CD referred to above are a beginning. Listen to this one and hear for yourself. Recommended. The new in new music is ever blossoming. It never stops. 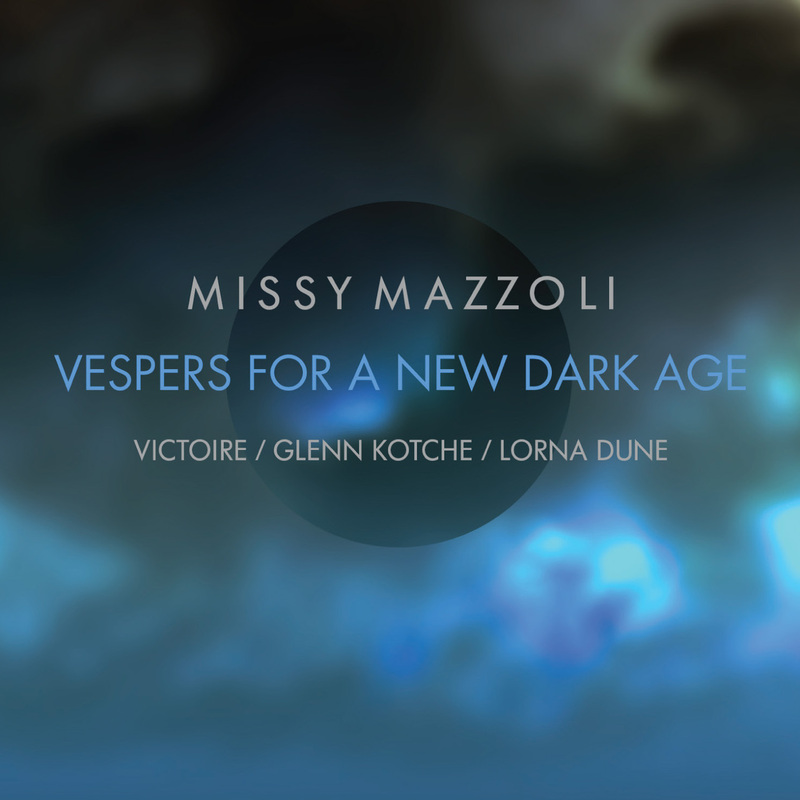 Today, a somewhat sterling example of all this, with Missy Mazzoli and her Vespers for a New Dark Age (New Amsterdam). It is a chamber ensemble work in a post-minimalist zone, with texts based on the poetry of Matthew Zapruder. The texts are a cry to a God who does not seem to respond, set in the midst of a world that does not fulfill the desires of the poet. Hence a Dark Age, literally an age of darkness. The "vespers" are therefore not of course in the sacred tradition yet there is something ritualistic about it all nonetheless. The music is scored for a modest sized chamber group, ensemble Victoire for the recording, which includes two keyboard-electronics players (one Missy herself), violin, clarinet, double bass, guest artist Glenn Kotche on percussion and three singers, Martha Cluver and Mellissa Hughes, sopranos, and Virginia Warnken Kelsey, alto. The vocal performances are quite beautiful, in keeping with the haunting quality of the lyrics and Ms. Mazzoli's approach to them. The music is fascinating, post-minimal with something of an early music element combined with a present-day zeitgeist. The vocal ensemble sometimes sounds quite reminiscent of Steve Reich's vocal treatment in "Tehillim" but expanded upon in its own way. There is a general tonal ambiance that when added to a rock-oriented drum set (not continuous) puts it in a very contemporary zone somewhat removed from high modernism per se and more post- in orientation. The music has plenty of melodic-harmonic content, which by generally staying away from minimalist repetition while showing plenty of invention gives it originality and memorability. The keyboard-electronics bring to the music on occasion a fullness that belies the mid-sized chamber sound, in the way that the addition of an organ in earlier music does. The eight movements are varied in moods, reflecting the texts but having in common a feeling of loneliness that comes out of alienation, I suppose you could say. It is music to ponder upon, well-conceived and performed with spirit. As a bonus there is a remix by keyboard-electronician "Lorna Dune" Krier of Mazzolli's "A Thousand Tongues." Deidre Muro is the special guest on voice and Victoire once again were involved in the initial music tracking. I've never heard the original mix of this work so I cannot comment on the remix. The keyboard element is central, with washes of harmonic motion colored by solo instruments. The vocal part is haunting in how it comes through to the listener as from another world. It is most intriguing and moving, certainly. So that's my take on the music. Missy Mazzoli has an excellent sense of sonic color and a fluid lyrical darkness, one might say, infused with a tenderness and humanity coping with what seems like a cold world. I do think you should hear this, you who wants to keep current with the very latest musical unfoldings. Missy Mazzoli shows her very own musical sensibilities yet has deep roots in the recent past of the present. Listen. Sergey Prokofiev (1891-1953) wrote some of his brashest, most modern music in the later days of his first Russian period and in the days when he had residency in Paris. Of course this was before his second and final period in Russia when he was subjected to Stalin's iron-fisted "social realism" dictates and wrote music that was somewhat more restrained, though beautiful nonetheless. Marin Alsop and the Sao Paulo Symphony Orchestra, in the midst of their notable Prokofiev symphony cycle, give us a measured reading of his Paris-era Symphony No. 3 (Naxos 8.573452). It was adapted from his opera The Fiery Angel of the mid-twenties, which never was staged then, and in fact was never performed in full until 1955. The opera itself is a daring work and the symphony takes on much of the thematic material for an equally daring symphony. Included on the CD is a vivid performance of Prokofiev's "Scythian Suite" of 1914-15, taken from his ballet "Ala and Lolly," which was also never performed as such, being seen as not danceable. The Suite was a reworking of the music as it stood for concert performance. A bonus of this set is the short symphonic sketch "Autumn," composed in 1910 and revised in 1915 and 1934. It shows us a more lyrically expressive side of Prokofiev (the liners mention the influence of Mussorgsky) in its first blush and nice to have in this performance. The "Scythian Suite" and the "Third Symphony" are prime orchestral examples of Prokofiev the committed modernist, whose music had a bit more in common with Stravisky's "Rite of Spring" than perhaps later on, though the originality, the melodically striking, the motor impulse dynamism and the sure handling of orchestral forces put the composer solidly on his own turf. I have heard more savage, emblazoned readings of both works, on LPs long out-of-print, mostly from orchestras in the former Soviet Union. But Alsop and the Sao Paulo Symphony Orchestra, true to form with the other performances in the complete symphonic cycle thus far, give us a very balanced and nuance reading of the pieces. They can be brash when called upon, yes, but also can handle the more subdued, lyrical passages with care and feeling. Really, of course, both sides are essential in understanding the Prokofiev of this period. 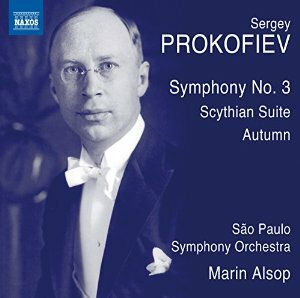 The Symphony and the Suite are masterpieces of this part of Prokofiev's oeuvre. If you don't know the music this is a very good place to start. If you are well-familiar with the works already these versions will give you another take on it all and so are worth having for that. Beautifully bold Prokofiev, played with intelligence and passion! No need to hesitate, especially at the Naxos price. The repertoire for sacred music for choir has such an all-pervasive history about it that new works often reflect the past-in-the-present to a higher degree than in some other genres. That is true in a rewarding way on the release of new works for choir by composer Douglas Knehans, Lux Dei (ablaze ar-00021). It is not that the music does not sound contemporary-modern. It does. But there is an element of tradition that pervades the music as well. The CCM Chorale under the direction of Brett Scott, with Christina Haan accompanying on the organ for one work, sound very good and give the music its full due. There are six works on the program, covering nearly 25 years. All but one are sung in Latin, which is part of the traditional element. There is less counterpoint than you would hear in early music and the harmonies are modernly tanged. In all we get Knehans' "Panis Angelicus," "Three Psalms," "Epicideum Hathumode," "Two Looks at Silence," "Missa Brevis" and "Symbolum Apostolorum." All bring out the S-A-T-B timbral beauty inherent in a first-rate choral ensemble. Knehans gives us much to appreciate and contemplate. He is a composer with a very apparent affinity to the choral mode and at the same time shows us a mastery of his craft and an inspired result. The music is not so much post-modernist in any self-conscious way. It is neo-contemporary if you will, extending the choral tradition to the present without resorting to stylistic contrasts. The music is whole and not easily pegged to a particular camp. That most certainly helps us appreciate Knehans on his own terms. I have come to realize that I have not been exposed enough to the music of Luigi Dallapiccola (1904-1975). He was one of Italy's most original voices in the 20th century. I have been listening to the very captivating release Complete Music for Solo Piano & Violin and Piano (Brilliant Classics 94967), all nicely presented on one CD volume by pianist Maria Clementi and violinist Luca Fanfoni. They cover the period 1942-1956 and so take the middle ground in his compositional development. 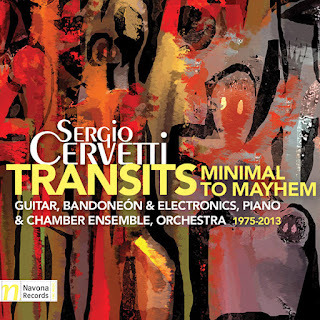 They all show a melodic inventiveness and a serious demeanor, but also in the earlier works a sort of playfulness I honestly did not expect to hear from the composer. We begin with "Tre episodi from Marcia," based on his ballet by that name originally written in 1942-3. The transcription for piano was put together by Dallapiccola in 1947. The "Sonata canonica after Paganini" (1943) shares with "Tre episoda" a kind of bright exuberance, and a tonally grounded centrality, but in this case makes use of Paganini themes, somewhat well disguised until the final bars. With "Due studi" (1946-7) for violin and piano we get more of a tonally expanded, modernist Dallapiccola, dramatic, gestural and brilliant in an essentialistically terse manner. "Quaderna musicale di Annalibera" (1952) for solo piano is dedicated to his daughter. Eleven studies feature cannons and 12-tone structures for a musically moving modern approach that is the Dallapiccola most of us know better than the earlier incarnations. It is complex, refective and especially well played by Ms. Clementi. The final work in the program, "Tartaniana seconda" (1956), is contrapuntal and tonal, giving the violinist and pianist music that stands in relation to the Italian virtuoso violinist-composer Tartini. The music has a delightful baroque-in-modernist virtuoso vivacity that to me is quite difficult not to love. 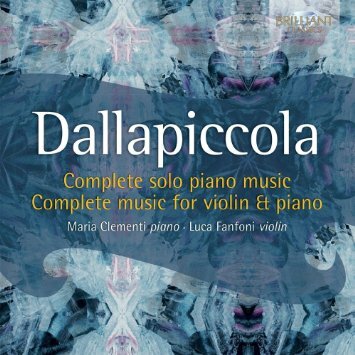 In all we have music that is very worthwhile, excellently performed, and captures a Dallapiccola who is always inventive and follows his musical vision in works that are not simply either modernist or neo-classical. They belong to his era surely, but they do so in sometimes surprisingly original ways. An excellent program. Highly recommended. Not everything contained in our world is written in our books, to paraphrase Shakespeare. When new music is very new, that can especially be the case. Composer Yotam Haber, Holland-born and Israel-, Nigeria- and Milwaukee-bred, is such an example. He writes music that is beyond minimalism, though shares some of its traits; repetition is very secondary when present. There is more linear development. 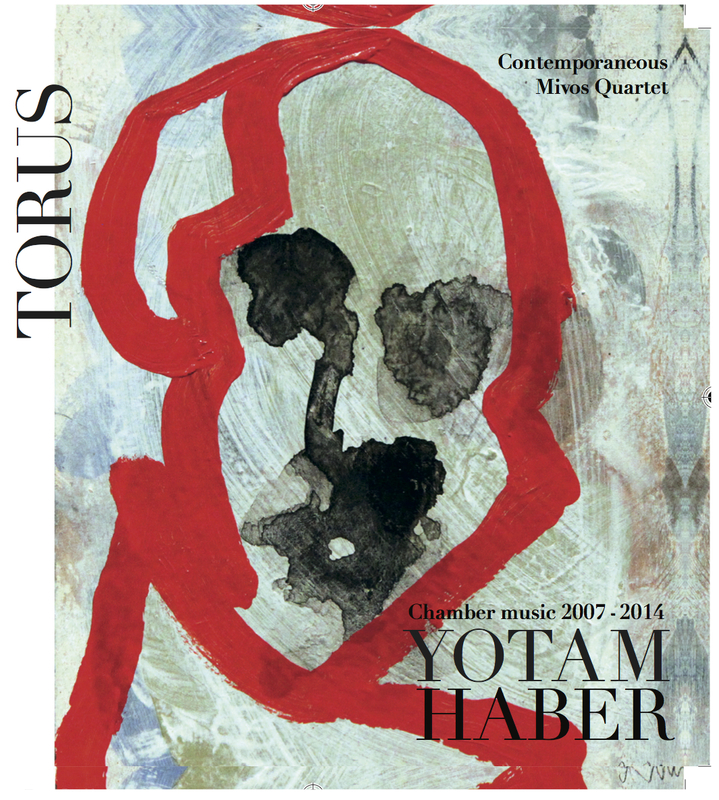 We can hear a good cross-sample of his chamber music from 2007-2014 on the album Torus (Roven 10015). There are five works in all and they illuminate various aspects of the composer's way. The chamber group Contemporaneous and the Mivos Quartet do the performance honors with sensitivity and skill. The title work "Torus" (2007, revised 2014), a string quartet, is perhaps the tour de force, with sometimes extraordinarily frenetic passages contrasted with quietude. It is mostly tonal but has the trajectory and rhythmic abstracted quality of a Ligeti work--though in its particular, original way. "From the Book of Maintenance and Sustenance" (2014), scored for viola and piano, is the most recent work. It is a somber, dirge-like piece that has a notable Jewish tinge at first, then spatial qualities and extra-tonal embellishments of modernism. It ultimately segues into more elaborate developmental passages. It is a most moving moment. "We Were All" (2012) is scored for vocal group and chamber ensemble. It is more episodic and contrasting than minimal, though it combines a minimal timbral mixture with brief repetitions and a contemporary chamber sound. "On Leaving Brooklyn" (2004) has its own way with vocal quartet and violin, combining the two elements of "We Were All" but in a more elemental mode. "Last Skin" (2012) brings in dramatic gestural sounds and sound blocks for strings with a very contemporary-modern slant. So there we have it. This is music of imagination and high interest, a very contemporary development of factors that most squarely places us in the present with personal syntheses of the developments of the past 50 years. It shows us a Yotam Haber who is carving his own niche in contemporary music. The performances are rather brilliant and worthy of the music. Recommended. What is most intriguing about the music is how it combines early music choral styles with modernism and tonal post-minimalism. The performance is inspired, the music neither entirely typical of other composers who utilize early music aspects (such as Part) nor the minimalist-and-beyond enclave of contemporary composers. It combines various aspects in its very own way, remaining very much in the sacred music realm without following the typical path. It is beautiful, stirring and unexpected. Conspirare give the music their own impeccably angelic way, something for which they are justly celebrated. Very recommended. Who is the City of Tomorrow? It is a fine wind quintet that concentrates on new and newer works, whether in premiere performances or more or less in the repertoire, as much as one can assert the latter in the wind quintet medium. Their recent album Nature (Ravello 7904) shows us what they can do with four contemporary works of note. Those pieces cover a broad expanse of stylistic trends today, from the late Berio work "Ricorrenze" (1985-87), the lesser known "...a certain chinese cyclopaedia..." (1986) by Denys Bouliane, David Lang's "breathless" (2003) and the quite recent "Music for Breathing" (2013) by Nat Evans. Each piece occupies a world of its own. The Lang work has a blurred sort of mirrored cannon counterpoint that creates a prismatic multiple sound image in a more or less radically tonal vein. The Berio work has a later period individuality, based on a painting by DuBuffet. It seeks to portray via virtuoso multiple lines the growth of a lushly fruitful plant from a small seed. The Bouliane piece creates a musical taxonomy from a theme in a short story by Jorges Luis Borges. It translates the taxonomic idea into somewhat frenetic waves of sound that meld shifting collages of bebop jazz vocabulary. The selective linear transformations are such that the music is more abstract-modern than bebop-ish per se, but no less interesting for it. The concluding Nat Evans work comes to terms with his experience with asthma and many long hikes through the woods. The concept of "nature" as an ever-active process rather than a romantic pastoral beauty is out front. The music uses extended techniques, improvisation within set boundaries, solo spotlights and the use of conch shells and stones to encapsule the hiking and chanting practices of Yamabushi Buddhists. There is at times a kind of ritual tonality to be heard here, captivating and ever shifting like the "nature" Evans has observed over the years. The four works contrast well. The performances are dramatic and exhilarating. In the end we are left with four distinct impressions of what wind quintets can be today. 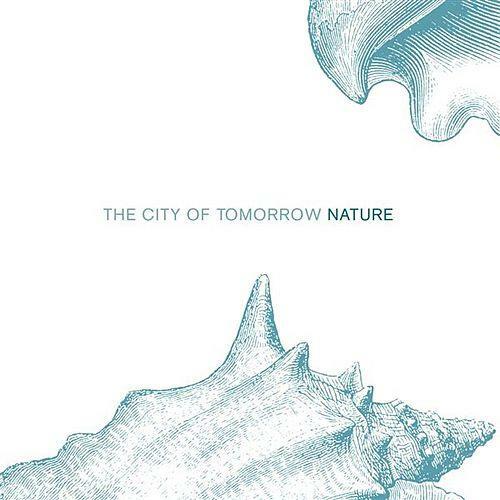 It is a tribute to the all-encompassing grasp that the City of Tomorrow espouses in the realm of new music and a tribute too to their magnificent musicianship. Today we are running "on instruments!" I have no information on the music at hand save the title, artist, composer and label and that the composer no doubt hails from Canada. Part of that has to do with technical incompatibilities, the other is sheer technological serendipity. Nevertheless the music speaks volumes, and it is to the music we must turn in the end, after all. 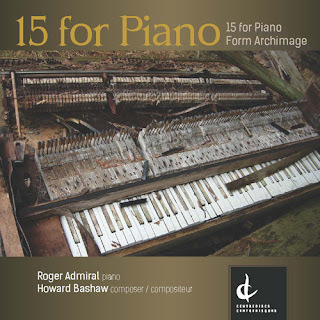 This is a CD of piano music, very modern piano music. The composer is Howard Bashaw, the pianist is Roger Admiral, the music is entitled 15 for Piano, Form Archimage (Centredisks), two formidable multi-part suites played heroically and enthusiastically by Roger Admiral. The music is highly dynamic, very modern, with the sort of panache one gets if one combined Scriabin in his later phase, Charles Ives at his boldest, and perhaps even a little of the aggressively soaring sense of a Cecil Taylor. There is a bit of minimalist repetition here and there, but it is not central and it is not at all typical. More repeats of brief phrasings than minimalism per se. The totality of the music combines all of this (and perhaps more) with an originality which makes it all very much the music of Howard Bashaw. All that being said, it is music of fullness, a roar of sound at times, spelled by quieter, less extroverted introspection. It is a marvelously contemporary expressionism we get. It is music that will not be denied, very much foreground and assuredly NOT background music. All the better, because this is piano music that makes great demands on the player in its maelstroms of sound and Roger Admiral responds with zeal and great success. A pianistic world of tomorrow, yesterday and today, all together, this is. It is a kind of wonder and will appeal to the modernist quite aptly, I think. I certainly appreciate it. Highly recommended. The musical traditions of Spain and Latin America are rich and vital. English composer Lionel Sainsbury (b. 1958) has long been taken with it all. 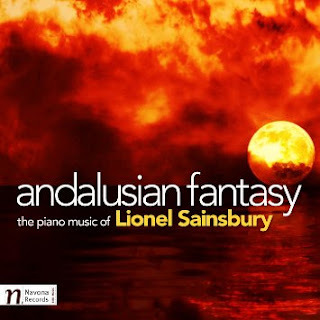 On his Andalusian Fantasy (Navona 5999) we get to hear how his fascination and love for the music becomes a creative force in his own music, in this case a series of works for solo piano. Is he the Boccherini of today? To the extent that he immerses himself in the music and gives back creatively in kind, perhaps yes. Otherwise, such comparisons are not all that illuminating, for Sainsbury has the modern present in him as well as the Latin-Spanish influences, so you hear some of the presence of jazz precedents (Gershwin and Ellington, perhaps) and a post-impressionist glow as well. The Spanish-Latin rhythms of dance and the melodic-harmonic particularities are readily heard in the works presented in this collection. All are well performed by the composer himself with a flair and liveliness in keeping with his dynamic style. There are moments of relative repose and introspection to be heard as well. And the jazz-oriented element can be heard directly or indirectly depending on the work or movement. It is not always the jazz of today or tomorrow so much as a recapturing of jazz-oriented compositional ways of pre-mid-20th century masters. But even then it is not a direct imitation as much as a personal rechanneling. In all we hear six very worthwhile pieces: The "Andalusian Fantasy," the "Nocturne Op. 18," the "South American Suite," "Twelve Preludes Op. 11," "Esquisse," and the "Cuban Fantasy." Through it all the music personality of Sainsbury shines forth. He is not merely showing how the Spanish and Latin traditions have entered his musical thought, he transforms those elements into a music that has originality and a modern-classical thrust that remains his, while channeling some of the pianistic traditions of such adaptations from the French and Spanish impressionists and post-impressionists. In the end you have a very personal and very delightful set of works that show us an inventively vivid side of Lionel Sainsbury. Recommended! I think most serious students of musical minimalism when called upon to name only two works that best represented the first and central phase of the music would choose Terry Riley's In C and Steve Reich's Music for 18 Musicians. Those two, as attested by frequency of performances over the years and the recognized, inherently brilliant qualities of the music, best capture minimalism in its pulsating trance origins. We have today a very beautiful new performance of Music for 18 Musicians (1974-76) by Ensemble Signal (Harmonia Mundi 907608). 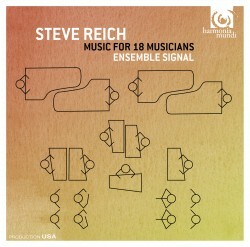 The first recording by Reich and his ensemble many years ago on ECM set the standard and there have been some good versions that followed, but Ensemble Signal shows you what can happen after a work has been thoroughly assimilated into the collective "mind" of the period. They may actually top the Reich version, which is saying much. Ensemble Signal takes things at a nicely brisk pace, faster than the original and others that followed according to my naked ears. The music is the mature end-result of the years Reich spent studying traditional African music. His combination of genuinely moving rhythmic figures and melodically memorable material makes the work irresistibly compelling. The movement from section to section in a logical and very inventive framework gives the listener ever fresh possibilities while retaining momentum without pause. The ensemble writing for mallets, piano, winds, strings and wordless vocals is without peer. The work was a kind of beacon of the period. It set the stage for works that followed by both Reich and others that walked in his path. Ensemble Signal handles it all adroitly. At first hearing I thought the mallets were slightly low in the balance, but in subsequent hearings that impression vanished and now I hear it as the well-blended composite that it is. They understand the balance between rhythmic thrust and melodic definition and give us a rendition that is superb, with the contours crisp and filled with the sort of elevated lyricism that Reich had in mind. If you are a fanatic on this piece, as I am, you will welcome this version wholeheartedly. If for some reason you never heard the work, this is undoubtedly the one I would recommend you get, at least for starters. A seminal work of our time that all need to hear! Charles Alkan (1813-1888) wrote music that was anything but typical of his times. Perhaps a parallel example was Mussorgsky in Russia (unless we want to talk about Sorobji, only he was later), but the music of the two are not really comparable, just their uniqueness. Alkan created a body of solo piano works that reflected the romanticism of his era at the same time as it took steps beyond it. For difficulty in execution they are often enough notorious, but what strikes one who spends time with his music is its eccentricity. Therefore Vincenzo Maltempo's fifth album of Alkan works is rightly subtitled A Collection of Eccentric Piano Works. Chanson de la folle au bord de la mer (Piano Classics 0083) fits the description. 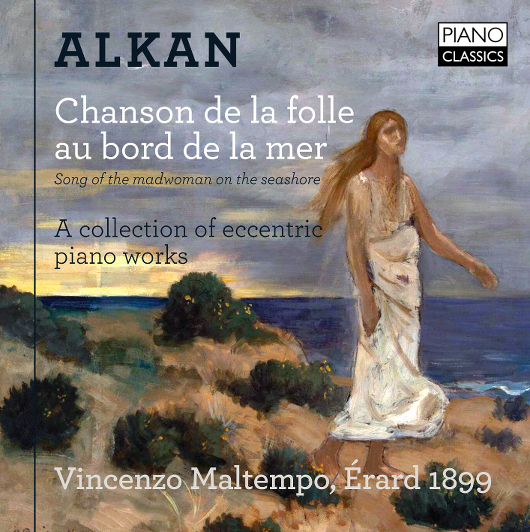 These are some of Alkan's more unusual and iconoclastic works, eleven in all, played wonderfully well by Maltempo on an 1899 Erard grand piano. Maltempo makes the case that Alkan's works are after all meant to be played on a piano of his era, and listening to this volume, you can readily hear the subtle and sometimes dramatic differences. What is true of Mozart, of Beethoven, Brahms or Schumann is perhaps even more true of Alkan. It sounds different on a period piano, sometimes dramatically so. That is, the period piano's sonarity is so different to the modern pianoforte that you hear the music in a new light. The forte is much more subdued in volume, each register has its own acoustic characteristics, and the upper notes do not tend to naturally ring out, just to note a few of the obvious characteristics of the earlier pianos. So with these Alkan chestnuts, many if not most of which will be familiar to Alkan enthusiasts, you hear the voicings and the balance the way one presumes Alkan meant them to be heard. This is of course as much a product of Vincenzo Maltempo's artistry and genuine understanding of the music as it is the piano itself. It removes much of the slam-bang pianism in romantic interpretation of the ensuing 20th and 21st centuries for an appreciation of the nuance of voice. The eleven mostly quite brief works sound breathtakingly well in the hands of Maltempo and his Erard, whether it is a matter of the "Tres Petites Fantaisies Op. 41" or the title work, "Song of the Madwomen on the Seashore," which is a part of the "25 Preludes Op. 31." Maltempo's period performances are revelatory and triumphant. You hear Alkan in a new light. Recommended for those not much familiar with Alkan as well as his devotees. It is a delight, either way! 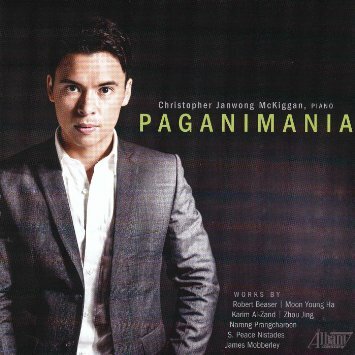 Christopher Janwong McKiggan, a pianist with a multicultural heritage (English, Scottish, Chinese, Thai) has drawn on his corresponding interest in composers from around the world and his enthusiasm for Paganini to commission an international coterie of composers each to create a new solo piano work based on Paganini's 24th Caprice. The gathering of differing approaches has resulted in the solo piano album Paganimania (Albany TROY 1543). Seven composers from around the world have created seven very varied pieces which McKiggan performs with poeticism and grace. The world is represented by composers from America, Canada, Thailand, China, Korea and the Middle East. The composers are Robert Beaser, Moon Young Ha, Karim Al-Zand, Narong Prangcharoen, Zhou Jing, S. Peace Nistades and James Mobberley. The works are all generally of an international contemporary modernist/postmodernist cast. Some are quite difficult to play but McKiggan gives us a satisfying first recorded performance of all. It can be imaged that with years more experience of these works McKiggan might well top himself with ever finer performances, but that is of no moment in the present, since the outcome is good and the various approaches contrast in interesting ways and make for a fine listening experience. Paganini's 24th Caprice may not always be readily audible in the way each composer transforms it to create something new. And the cultural-musical backgrounds of each composer are also subtly present. Both factors however are very much integral to the final results and show themselves in varied ways with careful listening over time. It is a fascinating program, well conceived and well played. McKiggan takes a good idea and brings it to full fruition on Paganimania. Bravo!